Today’s mobile digital world sees a plenty of innovations, up-to-date technologies, and wild new ideas, that instantly become a reality. Now the current and future tech landscapes are primarily about the Internet of Things, Artificial Intelligence, Machine Learning, and Augmented Reality. In one of the recent posts, we’re speaking about the 3 major concepts that will dominate in the next several years. In this one, we’ll speak about the main development trends and predictions. Today the IoT technology attracts high interest and huge investment. Providing a plenty of benefits, IoT has the potential to innovate a variety of life spheres and business industries. The future of the Internet of Things is about such large IoT concepts as smart homes, smart offices, and smart cities, that involve a wide range of IoT solutions. By using IoT applications, companies can automate workflow, connect departments, collect and analyze advanced real-time customer data, improve marketing campaigns and targeting, and much more. However, there remain some problems. When integrating IoT solutions, a company often sees this as a large business transformation and tries to develop a large complex IoT project. Then, it faces difficulties related to of resources to effectively process massive data flows and retrieve trusted valuable information. Thus, though IoT devices can generate huge data amounts, many companies don’t keep in mind that big data don’t always mean big value. Also, to minimize vulnerabilities when building a complicated scalable IoT project is more challenging than when dealing with a small one. So, now the tendency shifts from creating large projects to developing small and medium ones. By focusing on proven up-to-date technologies, efficient analytics tools, and data scientists businesses can get all possible value from a small IoT solution. Being very trending, AR technology is successfully applied in many spheres for solving different tasks and problems. There is a large number of devices supporting AR, and it’s an important feature of mobile apps and games. For example, such giants as MSQRD (from Belarus, by the way) and Pokémon GO are based on augmented reality, that allows them to entertain their users and provide them with amazing user experience. In education, companies start using augmented reality applications in improving learning processes. Especially it’s useful for medical institutions when studying such difficult spheres as anatomy. Another example refers to marketing campaigns when companies use AR to attract customer attention to the product. Also, AR apps can be used in interior design to visualize how a certain piece of furniture will look like. What’s important, large corporations actively invest in AR technology and implement it in their devices. In a recent release of Apple iPhone X, a company made AR support and showed the work of one of the toys with AR at smartphone presentation. Thanks to the fast operation of the two cameras and the new chipset, the picture is rendered in real-time and looks very realistic. On the demo-game, you could walk around the court in an attempt to find the enemy or hide from him, and the sound level changes, depending on how close he was. 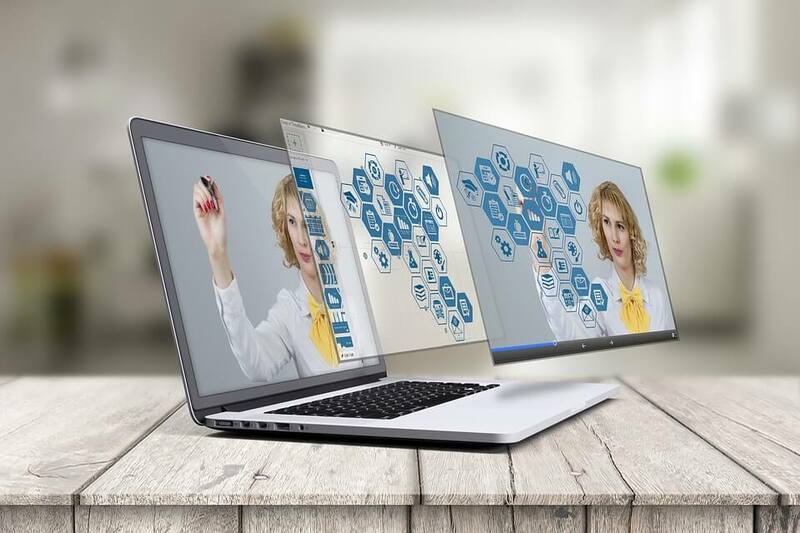 So, since AR technology is very popular and represents a great competitive advantage, it means an increasing number of augmented reality applications. In our mobile world there comes a strong need in tech solutions for workflow automation, company performance improvement, and employee work simplification. While most enterprises generally use at least five mobile applications and have complex software systems (ERP, CRM) integrated, companies start integrating technologies in such non-tech fields as agriculture, manufacturing, and construction. For example, according to BI Intelligence survey, the investment in IoT initiatives in a manufacturing sector will be $70 billion in 2020. There are many use cases of IoT solutions in this industry. The main spheres for their implementation are field service, production asset management, and manufacturing operations. In agriculture, you can apply new technologies for improving the crop yields. For instance, IoT applications can be effectively used for data collection, temperature control and regulation, and much more. Speaking about other tech solutions, there should be noted mobile apps (CRM apps, inventory tracking solutions, etc.) for automating and improving inventory management, enhancing internal business communications, and simplifying the work of field workers. One of the main development trends that now significantly affect (and will continue in the future) the current tech landscape is Artificial Intelligence and Deep Learning. One of the major development fields there is natural language processing. AI and deep learning make possible the creation of applications able to analyze audio data, recognize spoken words, and ensure real-time translations. Thanks to such solutions, people of different languages will get the ability to communicate with each other with no dictionaries and with no necessity in studying other languages. Another area represents the integration AI-based bots. Here natural language processing algorithms are important components of chatbots, technical support systems, and customer assistance systems. Also, in the near future, we can expect that automated personal assistant features will be more proactive. In banking, AI-based bots play an important role and solve various tasks. For example, BankBot serves as both a financial advisor and customer personal assistant. Since BankBot recognizes natural language and allows using voices instead of typing, users can ask it to perform operations like an opening of a new account and money transfer. Such AI solutions facilitate digitization of everything and automation of a wide range of business processes. Often it is large corporations that dictate the development trends. At the presentation of a new iPhone X Apple announces animoji, that use the Face ID hardware face-scanning functions to make custom 3D versions based on user facial expressions. The camera analyzes your face in real-time and puts the head of some animal (animoji) instead of yours. Developers will have the opportunity to access this feature and in the future, we will see other masks created by them. Emojis are widely used in messengers. Helping express emotions and making communication really fun, today it is a must-have feature of all chat apps. The creation of quality amazing masks with a high detalization is a very perceptive field in custom mobile app development.